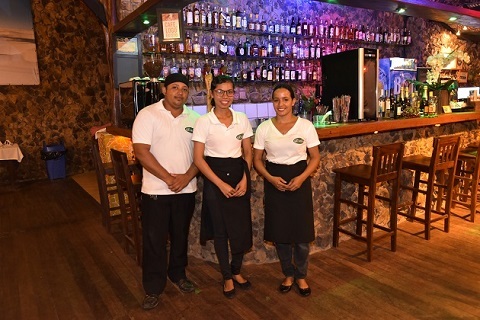 Dona Augusta, our experienced cook on the regional dishes and the trivial cuisine we serve at Bambaê. 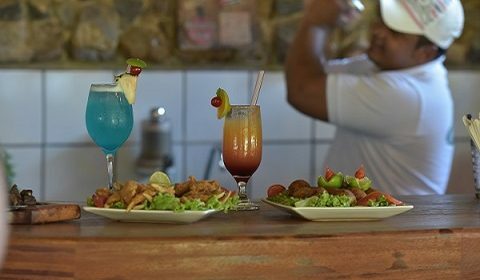 Working for many years in the profession, she has added her traditional knowledge of Maranhão cuisine to modern culinary practices and offers us a variety of dishes that he prepares with affection. 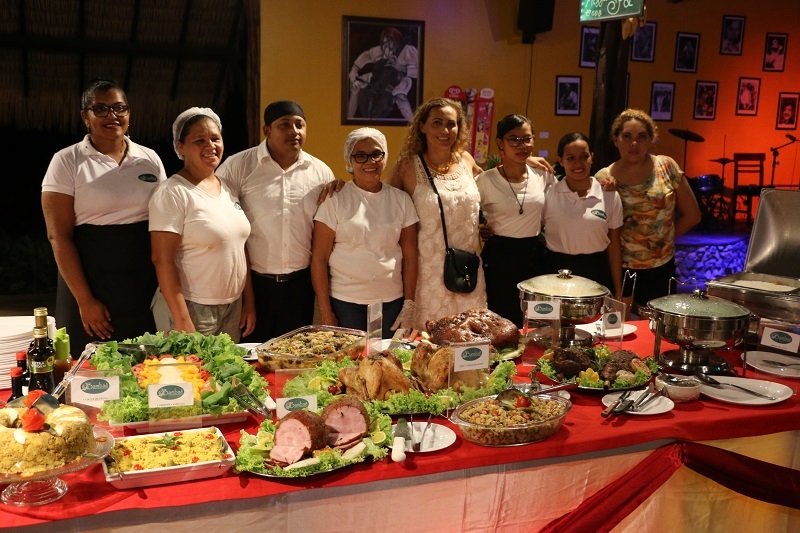 Dona Dayana, another of our cooks brings to the Bambaê the agility and versatility of the profession that she has already practiced in several establishments of Barreirinhas with a dedication that results, modesty aside, in our good cooking. 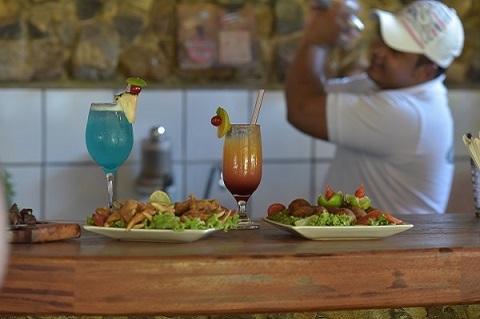 Dona Cris, the third character in our fine cuisine, comes from cooking, grilling and frying our dishes a long time ago. She brought together the domestic knowledge with our practices and contributes to the good performance of our gastronomy. Dona Elisângela, who works in a branch that is almost exclusively male, is our pizza cooker with a lot of competence. She prepares our delicious pizzas, from the pasta, sauces to its abundant fillings. Her specialty is the creation of the house, dried meat with catupiry, gently seasoned. 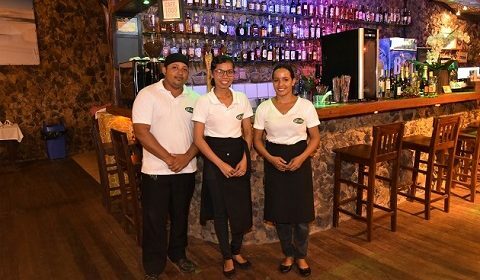 Taísa, Robson, Valdeci and Silvania are part of our class in charge of serving you, your cold beer, your drink, preparing an alchemy of flavors and all the necessary guidance for the best choice of your dish, as well as answer the curiosities about our region and your sights. Always with great sympathy and pride for the work they do and for receiving our visitors coming from all corners of Brazil and the world. Zé Maria our driver will pick you up where you are in Barreirinhas to bring to the Bambaê and then take you back without charging anything. He likes what he does and loves to chat with tourists. Alessany and Ligia are the ones who receive our products and take care of the quality control of food. They ensure that our kitchen has the best products on the market at the best prices and check the expiration dates so that we can always work with food safety..
Antonio Viana is responsible for the management of the restaurant and ensures that everything goes as planned, guiding and supervising the work of the team and giving the necessary support to all the professionals involved in the operation of our house.